Bellcote: a structure of masonry extending above the roofline of a building and usually carried up from a wall or arch (e.g. 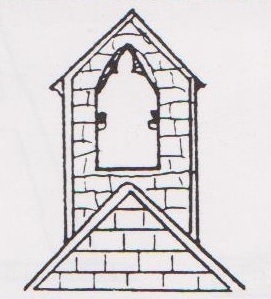 chancel arch or western gable of a church). Single and double bellcotes are common, and examples designed to carry three or more bells are occasionally found.